I really feel honored that I had the opportunity to document Carrie & Blake's wedding last August. We had all crossed paths with each other just a little over 5 years ago when I was invited to photograph Blake's brother's wedding. Carrie was a guest of the bride and Blake was clearly there supporting his twin brother. Carrie & Blake met that day and five years later... almost to the day... I was trusted again to capture Carrie & Blake's marriage and beautiful wedding. To make the day even more special, Carrie & Blake held their celebration at the same location as the wedding where they first met - on the family property of Cloverdale Farms, located in Weatherly, PA. Everything about Carrie's day came together perfectly. 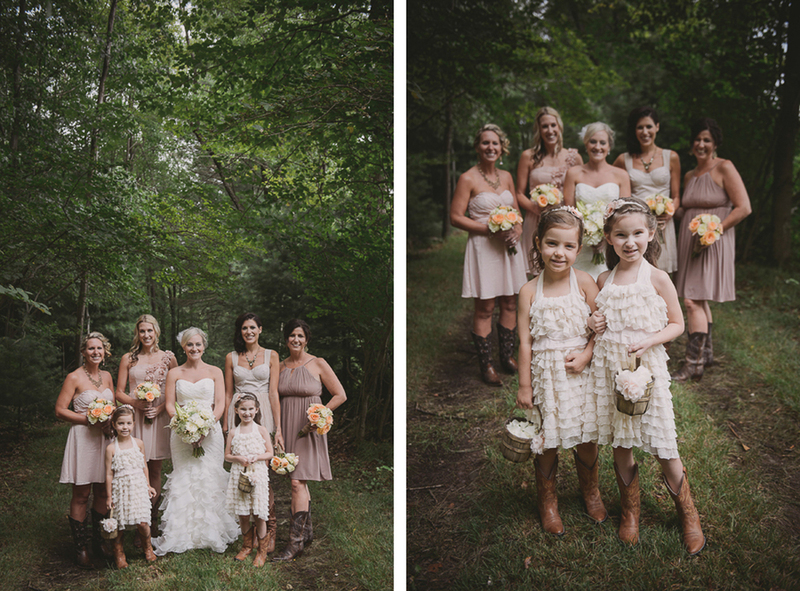 I loved all of Carrie's details including the beautiful flowers and the cowboy boots worn by everyone in the bridal party! The attention to detail was no surprise since Carrie planned everything; she is the co-owner of Honeybliss, a custom invitation design studio specializing in unique & stylish designs with a sweet flare. Definitely check out her Etsy Shop. Enjoy!